C&G would like to congratulate Airbus on their amazing success securing orders. The recent Farnborough Show pushed Airbus net total this year to 380 aircraft sold. It’s gross order count as of July 2016 had risen to 419. The show saw Airbus secure orders for 187 A320-family jets, with AirAsia signing a deal for 100 of the aircraft. The show also saw orders for two A330-300s and eight A350-1000s. Beyond firm orders, Airbus took provisional orders for an additional 82 A320 aircraft. 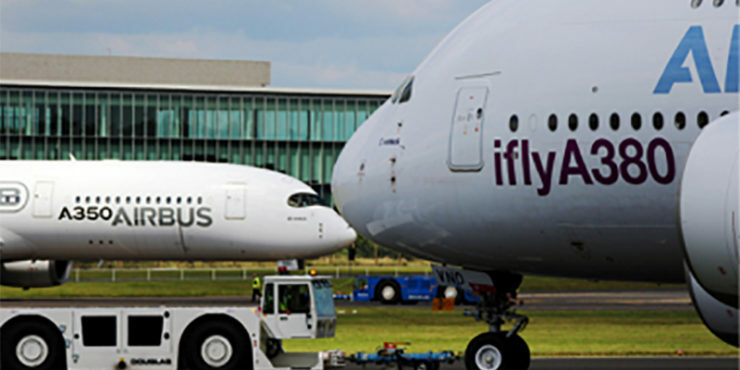 Airbus values the firm business at $26.3 billion, with another $8.7 billion attributed to commitments. Chief operating officer for customers John Leahy, speaking during the show, remained confident that the airframer would achieve a book-to-bill of unity by the end of the year, based on deliveries of 650 aircraft. To find out more about any of C&G’s courses, call today on 01453 826781.